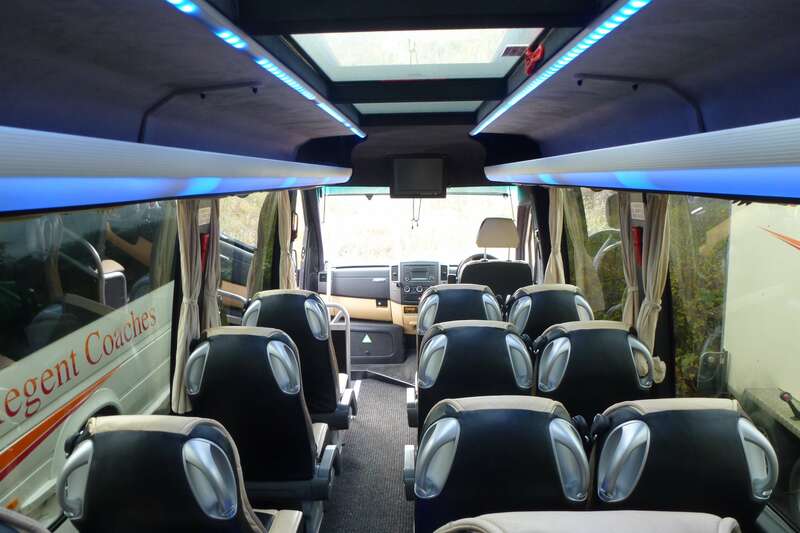 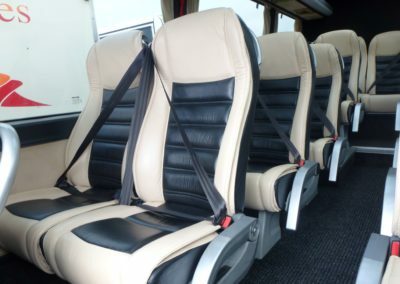 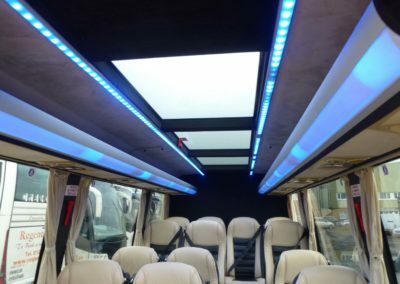 This is our smallest executive vehicle with luxurious full leather reclining seats, climate control and carpet throughout making it ideal for corporate transport, weddings and those who just like to indulge themselves. 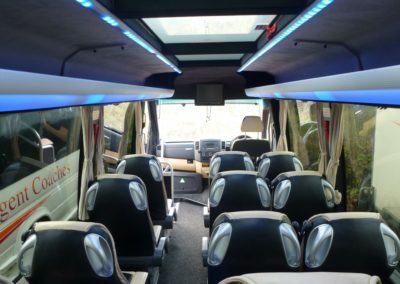 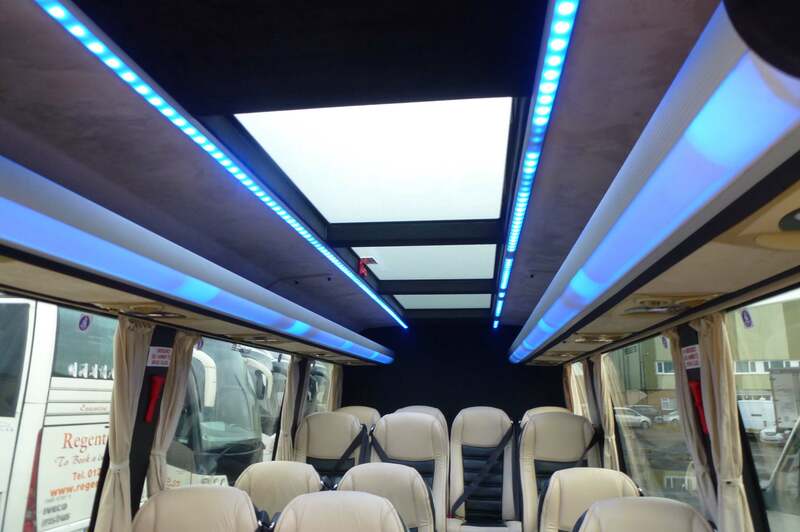 Due to the high specification and its very large boot this vehicle is at home on multi day tours with small groups of up to 16 passengers. If you haven't travelled with us before, we hope you'll consider doing so and joining our ever-growing customer base once you have worked your way through our site.